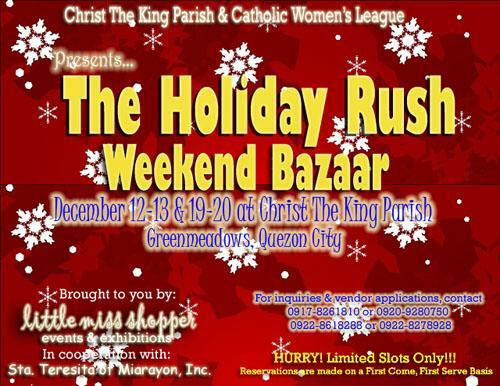 11AM -10PM (Friday to Sunday). 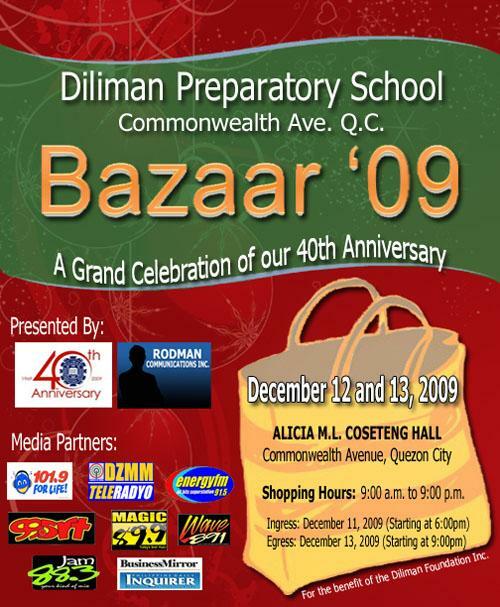 Proceeds from the bazaar will go to the Batayog ng mga Bayani Foundation, GMA Kapuso Foundation, Associate Missionaries of Assumption and Noel P. Gozon Memorial Clinic. 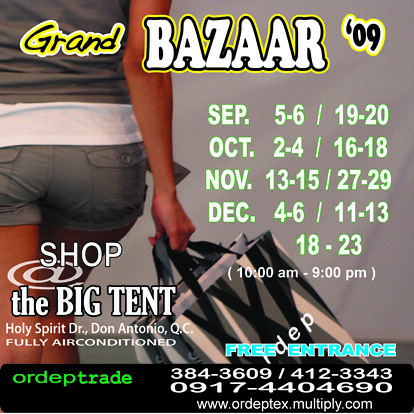 Choose a free item with every Php 2000 purchase from Readyforrain.com and their retail partners. Whether it's rain skimmers or kids Plueys, your free pair will come in a gift-ready Pluey's tote! 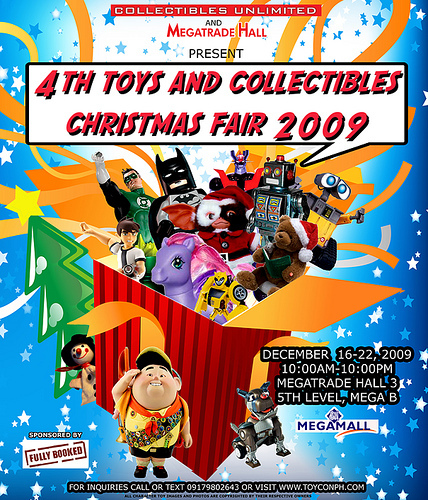 WHEN: December 13 - 14, 2008 (Saturday to Sunday), 9 a.m. - 7 p.m. 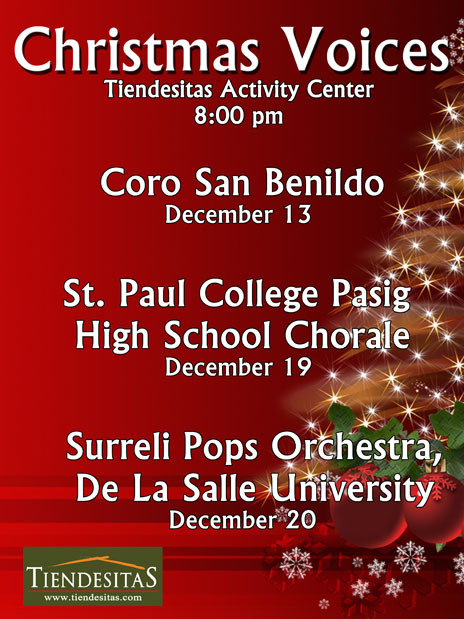 Proceeds will be donated to Sta. Teresita of Miarayon Inc. Experience Triple Joys at the BPI Installment Madness in Glorietta! 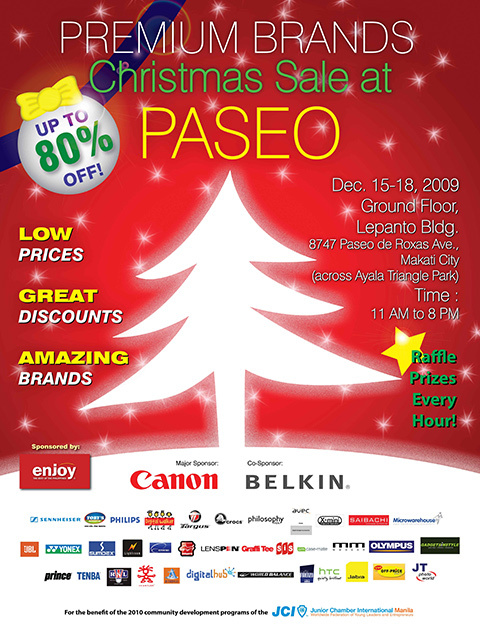 With Real 0%, up to 3X limit & FREE Jolibee Chicken Joy on your purchases from December 9 to 27, 2009. 2. The promo is open exclusively to all existing BPI Express Credit cardholders with Special Installment Plan (S.I.P)credit limit (BPI Express Credit Classic, BPI Express Credit Blue MasterCard, BPI Express Credit Gold MasterCard, Petron-BPI MasterCard, BPI Edge MasterCard and BPI-WorldPerks MasterCard) and of good credit standing. 3. BPI Express Credit offers 0% interest and reduced rates on all items and selected terms for a minimum amount of P 3,000.00. 4. 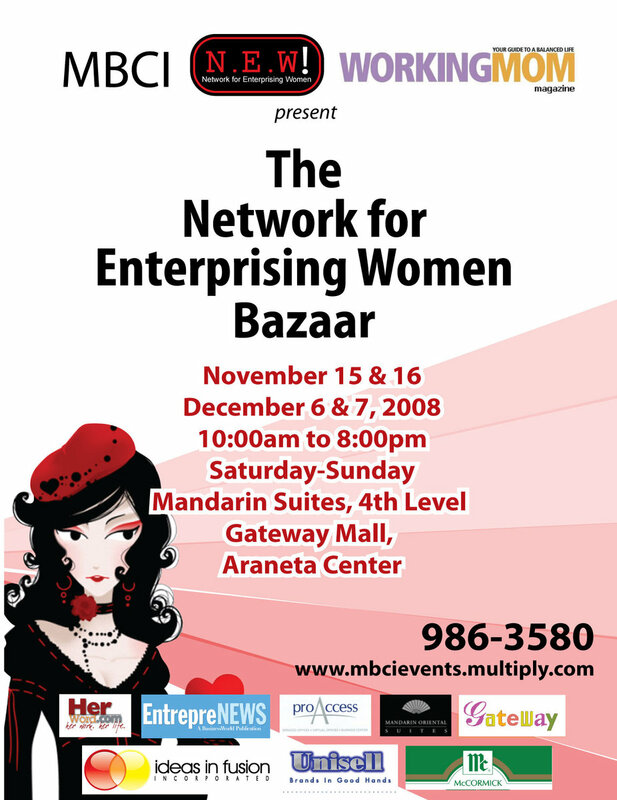 To avail of the products and services, cardholder must personally present his BPI Express Credit card to the participating exhibitor of his choice and sign the BPI Express Credit Installment Plan Contract (IPC) / BPI Express Credit Charge Slip after approval is obtained from BPI Express Credit. 5. The promotional Special Installment Plan (S.I.P) limit is the cardholder's regular credit limit increased up to three times. Maximum purchase will depend on the number of years the cardholder has been a BPI Express Credit cardholder. 6. The terms and conditions governing the issuance of the BPI Express Credit and MasterCard and the reminders and other provisions contained in the card carrier, statement of account, charge slips and other documents or instruments, which are made an integral part hereof by reference, shall likewise be resorted to in instances where they are applicable in this offer. 7. If a cardholder decides to pre-terminate his Special Installment Plan (S.I.P.) transaction prior to the first billing, BPI Express Credit will charge a pre-termination fee of PhP550.00 plus an additional 2% interest on the principal amount. If pre-termination is done after the first billing, monthly payment shall first be applied to interest then to the principal using the diminishing balance method plus a pre-termination fee of PhP550.00. 8. 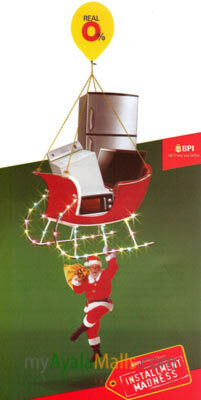 For inquiries, call BPI Express Phone 89-100. 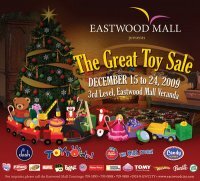 LG Christmas Rewards Plus Exciting Deals! Free Fab Items! 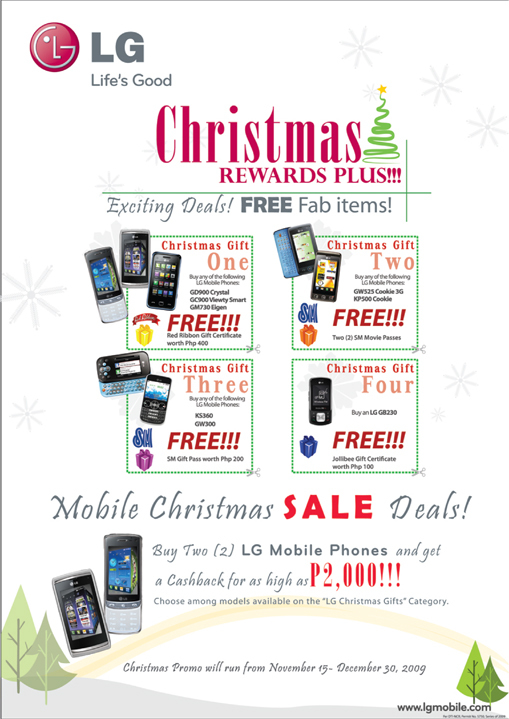 Buy Two (2) LG Mobile Phones and get a Cashback for as high as Php 2,000!! 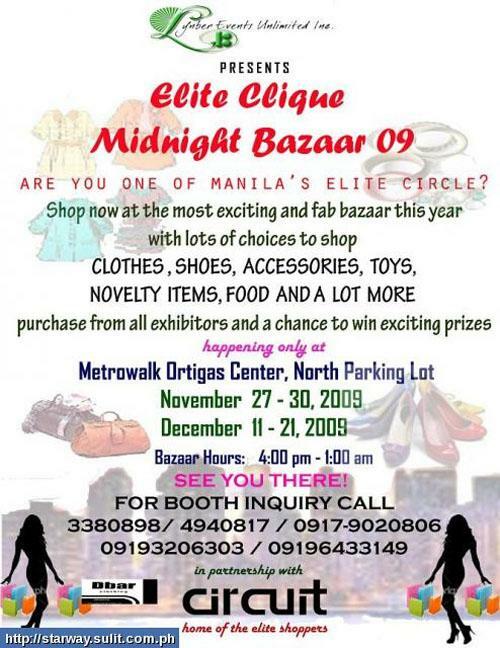 "Are you one of Manila's Elite Circle? with lots of of choices to shop. Call: 3380898, 4940817, 09179020806, 09193206303, 09196433149"
Come and Be part of the bargain hunter family! FYI Moms: Combi is for babies and toddlers. Think Fun is a Mensa select products for all ages. University games is for all ages too. Nuk and Viking are for toddlers. 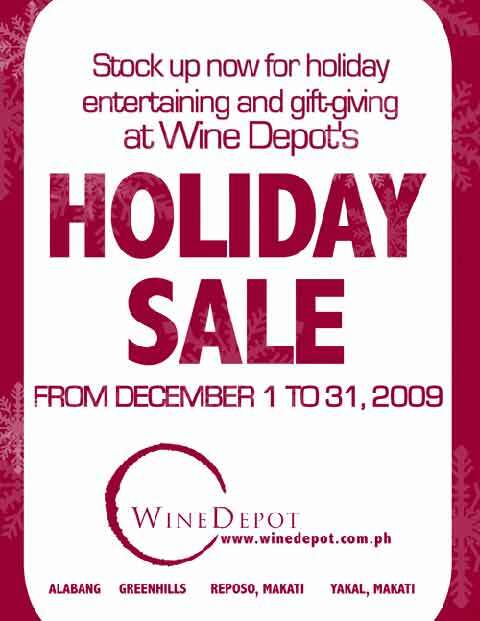 Address: LAJ Warehouse, 2nd Floor Unit A23, TOPY Building IV No.3 Economia St. Bagumbayan, Q.C. Directions: Coming from C5- From libis/E.Rodriguez Jr. Ave, turn right before before Honda cars (Calle Industria st.) then turn left at the 1st St., just before reaching Total gasoline station. 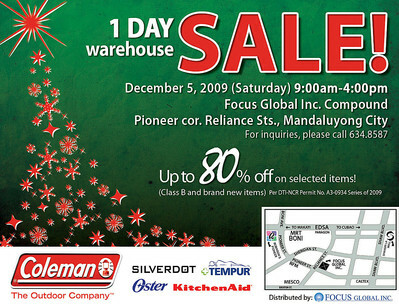 The Annual Coleman Warehouse Sale will be held this December 5, 2009 (Sat.). 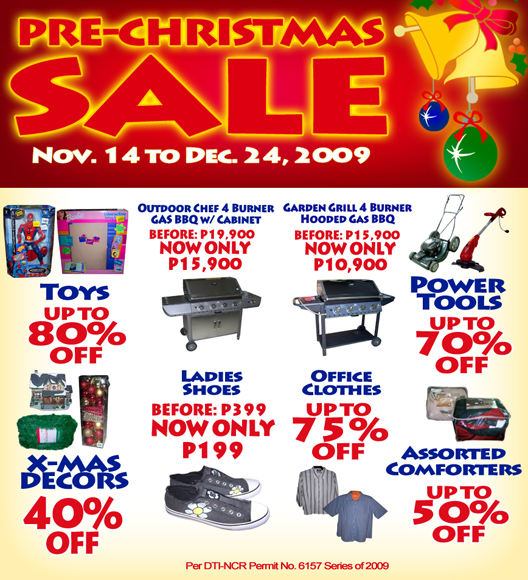 An assortment of Coleman jugs, coolers and outdoor equipment will be sold at big, big discounts! Other brands included in the sale event are Oster home appliances, Tempur Pillows & Mattresses, Silverdot bathroom scales and KitchenAid mixers. 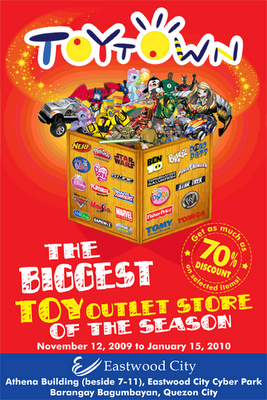 The BIG Holiday Outlet Sale 2009 will be held at the SMX Convention Hall 4 near SM Mall of Asia on December 4, 5, and 6 from 10AM to 9PM. 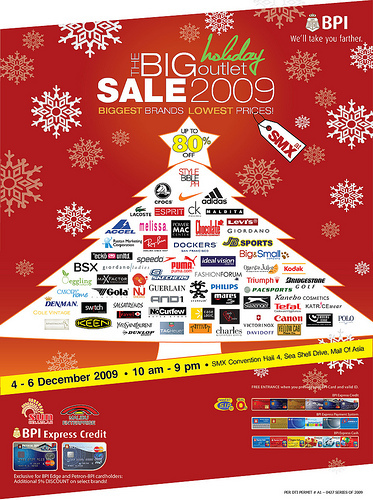 Participating brands include: Bulgari, YSL, Power MAC Center, Paul Smith, Speedo, Crocs, Max Factor, Lacoste, Giordano, Skechers, Puma, Nike, Adidas, Esprit, Ray-Ban, Kodak, Triumph, Canon, Melissa, and more. 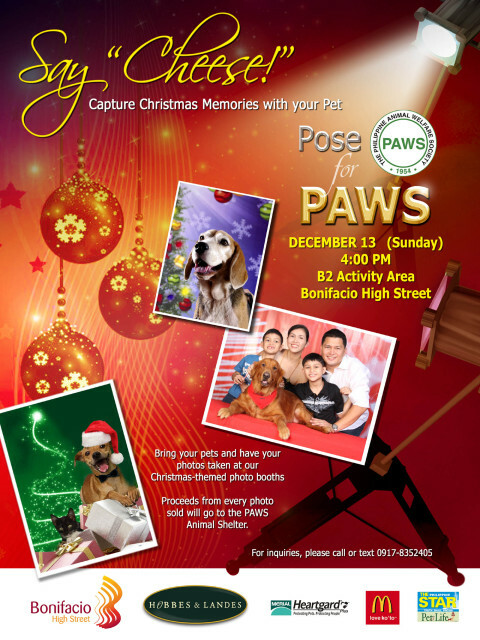 Free entrance for all BPI Cardholders; P50 entrance fee for non-cardholders. 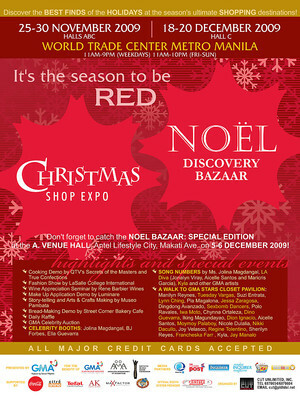 GIFT LAB is a wholly unique selling event that showcases over 80 booths of ready-made and customizable gift items. 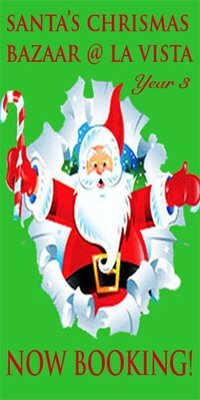 Our aim is to create a festive shopping environment filled with tastefully crafted products for our shopper’s convenience.